On August 18th we provided our Kent Selfie Mirror Hire to Kirsty & Edward’s wedding at West Heath School in Sevenoaks. West Heath School is one of our favourite wedding venues in Kent, it has great accessibility …the acoustics are really good in the room that hosts the disco …and the team that run the weddings at West Heath School are very efficient, so it all works very well. 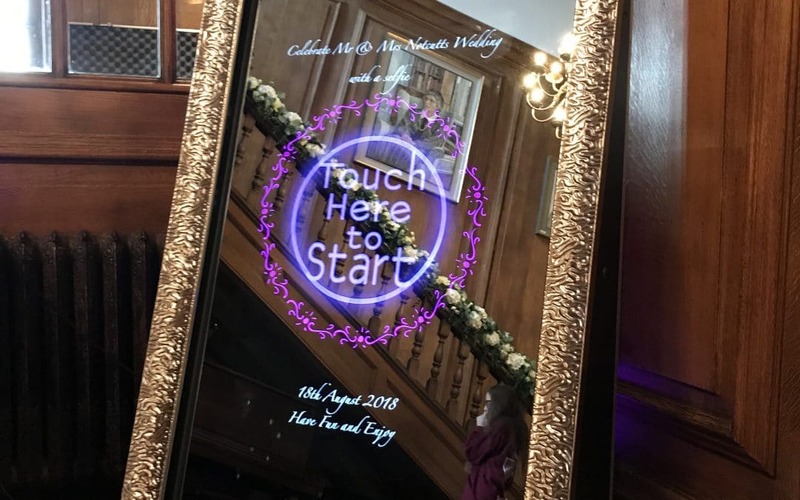 At this wedding we supplied our Uplighting Package (set up after the meal option), however we arrived earlier than usual at around 4pm, this was because following the meal all the guests gather in the hallway for a big group photograph on the staircase, so at this time our Selfie Mirror already had to be set up and ready to go. This worked well for us because during the turnaround time we then focused on setting up the dj, sound and uplighting, set to blue for this wedding. We opened the mirror just before the first dance at 730pm …CHOICE DJ offers 3 hours kent Selfie Mirror Hire, an abundance of props including wigs, hats, feather boas, glasses and signage. There are no restrictions, guests can visit the mirror an unlimited amount of times during that time. Our Kent Selfie Mirror Hire is the original genuine Fotomaster mirror, loaded with a professional cannon camera, flashlight and built in computer which delivers high quality photographs ….beware of cheap imitations on the market. We are also one of the cheapest Kent Selfie Mirror Hire suppliers at £495, because we use our own staff not outside contractors …however if you are booking our Total Music Package or Uplighting Package (set up before the meal option) we will discount this to £395. We also offer you the option to upgrade to a Guest Book, Additional Print and USB stick (containing a hard copy of all the photos) for an additional £100. Overtime is available at £100 per hour if you need more than 3 hours. 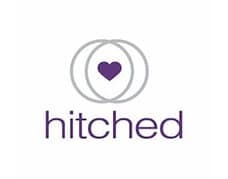 If you need any further information about our entertainment services please feel free to contact us and we will give you experienced award winning advice to help your wedding vision become a reality. CHOICE DJ also has the following upgrades available for your Downing College Wedding. Uplighting, Photo Booth and Dance Floor Hire, Dry Ice, Confetti Cannons, LOVE Letters and Party Photography.